Doc Lavan was a shortstop for 21 years, four in college (1908-1911), 12 in the Major Leagues (1913-1924) and four in the minors (1911-1912, 1924 and 1927). 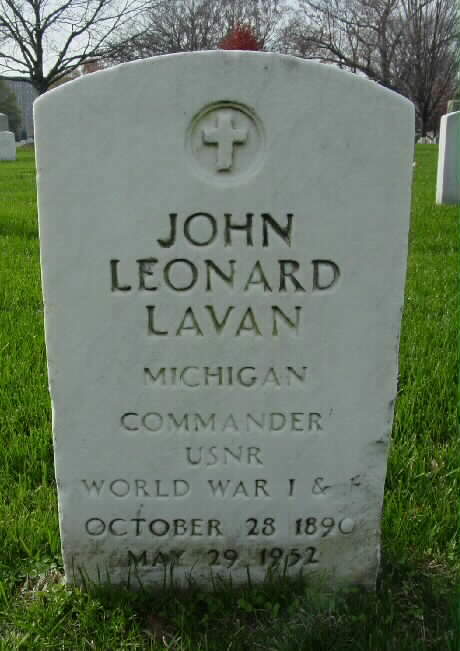 Born John Leonard Laven, on 28 October 1890 in Grand Rapids, Michigan, he was a Lieutenant (Surgeon) in the United States Navy during World War I, retiring in World War II as a Commander for the Naval Reserve. He played four years for the University of Michigan (1908-1911), five years with the St. Louis Browns (1913-1917), one for the Philadelphia Athletics (1913), one for the Washington Senators (1918) and six for the St. Louis Cardinals (1919-1914). A practicing medical doctor, he was a city health officer in New York, NY, St. Louis, MO, Kansas City, MO, Toledo, OH, Kalamazoo, MI and Grand Rapids, MI and served as Director of Research for the National Foundation of Infantile Paralysis. A light-hitting shortstop, Lavan was error-prone, booting the ball for both St. Louis teams. He was purchased by the St. Louis Browns from Muskegon of the Michigan State League in 1912 and made his major league debut on June 22, 1913. On August 24 of that year, he was purchased by the Philadelphia Athletics for a cash sum to hold. He was on the Athletics' roster for the 1913 World Series but was not used as Philadelphia disposed of the New York Giants in 5 games. On February 5, 1914, he was released by the Athletics and returned to the Browns. He made 75 errors in 1915 for the Browns, then on September 7, 1917, Browns owner Phil Ball accused his players of lying down on the job because of their conflict with manager Fielder Jones. Lavan and 2B Del Pratt sued Ball for $50,000 damages for his alleged slanderous statements in St. Louis newspapers. This soured atmosphere led to his being traded on December 15 with Burt Shotton to the Washington Senators for Bert Gallia and $15,000 cash. After one season in Washington, he was sold to the St. Louis Cardinals and twice led National League shortstops in miscues while with the Cardinals. He holds the record for most runs batted in by a Cardinals shortstop (82) in 1921. Lavan died in Harper Hospital in Detroit, Michigan, at age 61 after a brief illness and is buried at Arlington National Cemetery in Arlington, Virginia. Notable Achievements: Won a World Series Ring with the Philadelphia Athletics in 1913 (he did not play in the World Series). Posted: 6 August 2006 .